Nuwara Eliya is a haven of leisure caressed by the chilly hill side breeze that wafts across the surrounding mountains. Fragrant with the scent of Eucalyptus and Pine trees, it also bears a sense of nostalgia from the bygone British era. The old brick post office, country houses with bright coloured rose gardens and well tended golf course bare record to a fascinating past. 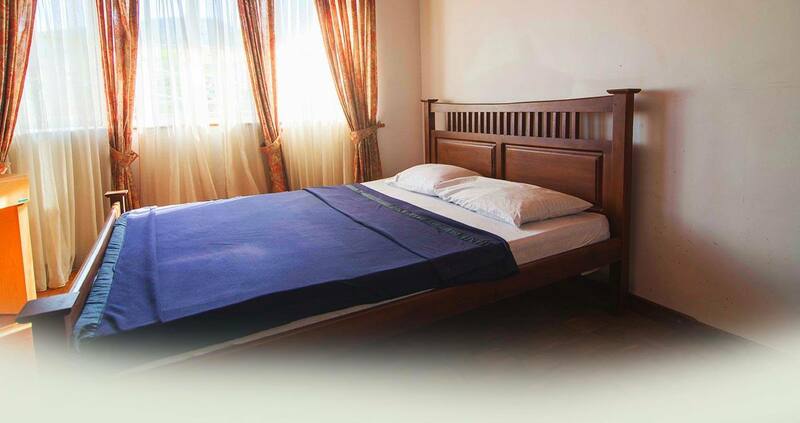 Just about a 7 minute drive away from the Nuwara Eliya town, the Ranmin Cottages comprise 7 individual cottages with their own plot of private garden space. Hemmed in by a range of lush green mountains, the Cottages seamlessly blend with their surroundings. Blue hydrangeas that welcome from the entrance; pink Roses that trellis over; white Lilies and Daisies that charmingly border a patch of brilliant green grass; purple wild blossoms that sprout spontaneously; the garden is truly picture perfect. Offering majestic views of the mountains on one side, the gardens and Cabbage patch below, and views of the rolling tea plantations on the other side, the Cottages are an ideal escape away from the cacophony of city life. Secluded and tranquil, nature extends a healing touch to all who arrive here. There are 2 types of cottages; While 'Type A' is home to two double rooms and two triple rooms, 'Type B' houses a double and a single room. Both Cottages can accommodate up to 5 - 10 people, two individual rooms are also available on room only basis respectively. 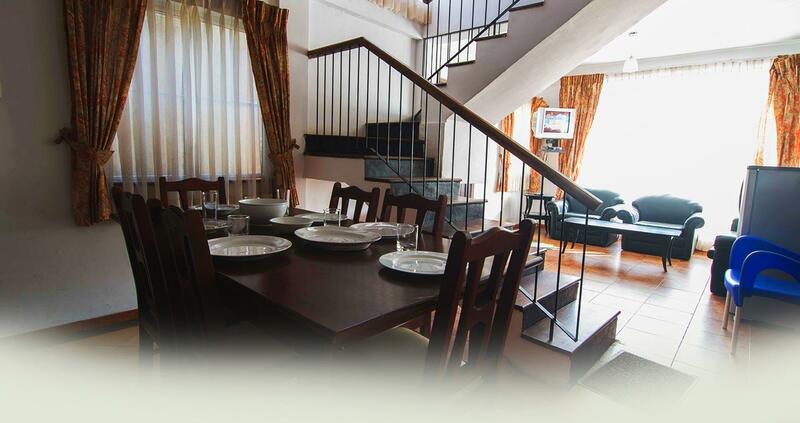 These self service cottages feature a dining area, pantry, living room complete with Dialog TV connection, and 2 or 4 bedrooms with shared bathrooms. Each Cottage is built on two storeys, is located a little away from the other and appears as if it hovers in a bubble of its own. Perfect as a honeymoon loft or for much needed bonding time with close family and friends, the Ranmin Cottages are located in one of the most romantic cities in the whole of Sri Lanka. 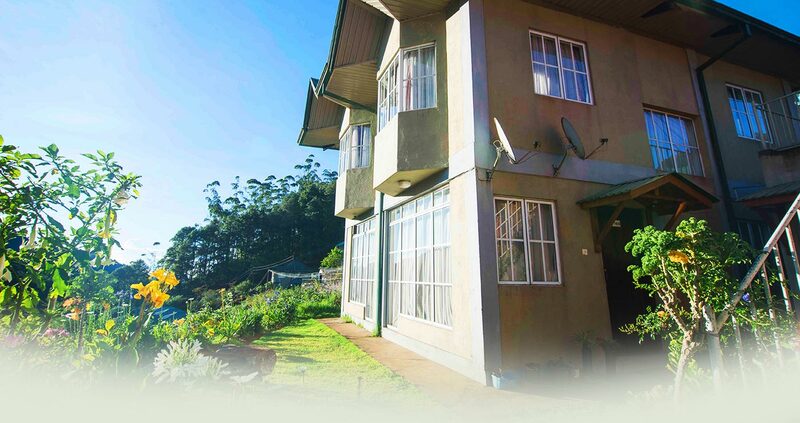 Welcome to Ranmin Cottages, Nuwara Eliya; here where serenity and solitude prevail in harmony.